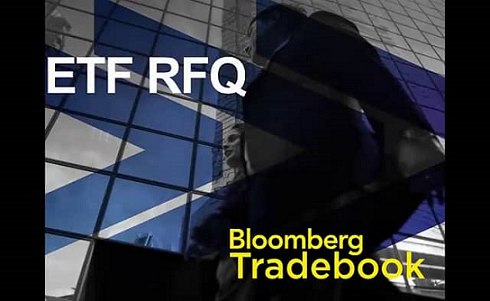 Bloomberg LP’s agency broker Bloomberg Tradebook is continuing to grab market share in the ETF execution space thanks to introducing a blockbuster approach that has proven to work across a universe of hard-to-trade financial instruments: RFQ (“Request For Quote”). 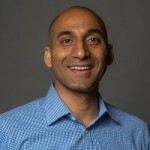 The “Bloomberg ETF RFQ” tool, which, according to a statement issued by Bloomberg LP, has triggered “a 3-fold increase in ETF volume compared to the same quarter in 2015” for the agency broker, is one that enables traders to source block trade liquidity from across a universe of liquidity providers who specialize in US-listed exchange-traded funds as well as ETFs listed in Europe, the latter of which are typically more difficult to secure tight markets for when using screen-based services that display actionable bids and offers. Total notional value traded also tripled in European ETFs as the number of investors actively using the ETF RFQ service grew by more than 50 percent, according to a company press statement. After launching over two years ago, Bloomberg has managed to extend its services to over 250 firms. 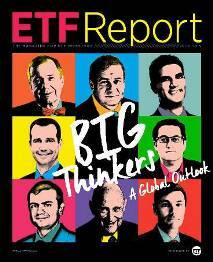 Market volatility and the demand for block liquidity in ETFs drove the value of the total ETF market last year. 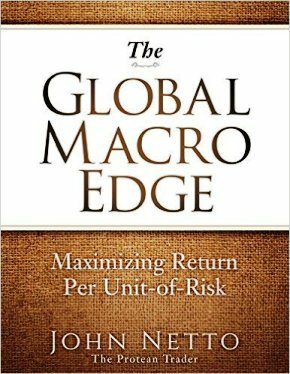 Research firm ETFGI reports that assets in global ETFs topped $3 trillion at the end of 2015. “Institutions are finding new and increasingly strategic applications for ETFs, with 77 percent of them using ETFs to obtain Core Exposures,” said Andrew McCullum, a consultant for Greenwich Associates and author of Institutional Investment in ETFs: Versatility Fuels Growth. I am an Issuer of a Private Placement and I have an ISIN code for that security. I want to create more awareness and List My Offering on the most widely-followed market data platforms. That’s why I will click here. One of the stimuli behind the growth in this sector was the increase in ETF trading in the US throughout 2016. During Q1 2016, ETF assets climbed by 2.4% QoQ to $2.3 trillion in the US, which was fueled by retail channels, as calculated by Broadridge’s Fund Distribution Intelligence. In parallel to this trend, market volatility and the demand for block liquidity in ETFs also drove the value of the total ETF market to new highs over the same period. In particular, its recent volumes have undergone a three-fold increase YoY in Q1 2016, relative to Q1 2015. In addition, Bloomberg Tradebook’s total notional value traded also tripled in terms of European ETFs, fueled in large part by the number of investors utilizing the ETF RFQ service grew – users of the service also swelled by over 50% YoY in Q1 2016. “In the United States, liquidity is concentrated in the top 150 ETFs by AUM, with more than 90 percent of them trading less than a million shares per day. Europe faces its own challenges in sourcing ETF liquidity because of market fragmentation and low transparency due to deficiencies in trade reporting,” Pingali reiterated. 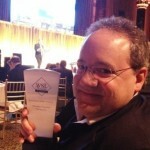 If not as widely-covered as the GOP or DNC primaries, financial industry publication Wall Street Letter (“WSL”) held its 5th Annual Institutional Trading Awards ceremony last night at NYC venue 583 Park Avenue and recognized best-in-class broker-dealers across 7 major categories, including Best Broker Dealer (OverAll), Best Broker-Dealer Research, Best BD-Client Service and Best Broker-Dealer across equities, futures and options. The WSL Awards also recognized the firms considered to be the top within technology offerings, including electronic trading applications and electronic exchange platforms. 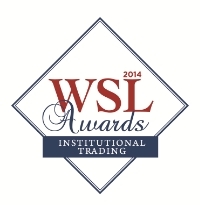 Taking home the gold for Best Broker-Dealer “Overall” :Wolverine Execution Services (WEX). Runners-up included Bloomberg Tradebook, Interactive Brokers, Mischler Financial Group and Dash Financial. Best Broker-Dealer Research was awarded for the third consecutive year to Mischler Financial Group, the industry’s oldest minority broker-dealer owned and operated by Service-Disabled Veterans. Runners up in the Best Research category: Stifel Nicolaus and Sandler O’Neil. Best Broker-Dealer Equities was awarded to Fidelity Capital Markets and in the client service category BNP Paribas took the prize. Best Options Platform was awarded to Interactive Brokers and Best Options Broker was awarded to WallachBeth Capital. As electronic trading markets become more fragmented, the majority of large orders are executed via broker-provided execution algorithms. Typically, implementation shortfall trading algorithms are used to slice the parent order into many small ones and spread them out over the time horizon to minimize the slippage between average fill price and midquote of order entry, through striking the optimal balance between market impact and volatility risk. Bloomberg Tradebook’s recent study, entitled “Seeking Optimal ETF Execution in Electronic Markets,” shows that trade costs of ETF orders are quite different from those of common stocks. The team has measured trade costs of ETF orders and common stock orders for various order size groups and compared them side by side within each group. The dataset of the study includes more than 100,000 orders trading US common stocks and ETFs from clients of Bloomberg Tradebook throughout the whole of 2013. Results show that the median trade cost of orders becomes higher with increased order size for both common stocks and ETFs. However, given the same order size group, median costs of ETF orders are significantly lower than those of common stocks with 95% confidence. Also, the study shows that ETFs have tighter cost distribution (i.e., lower variance of trade cost) compared with common stocks. This data implies that ETFs have lower median market impact than common stock of the same order size due to the liquidity of the underlying basket in addition to ETF liquidity displayed in the limit order book of the exchange. As a result, those trading ETFs directly in exchanges can afford to be more aggressive in taking out liquidity without causing as much market impact as trading common stocks would. 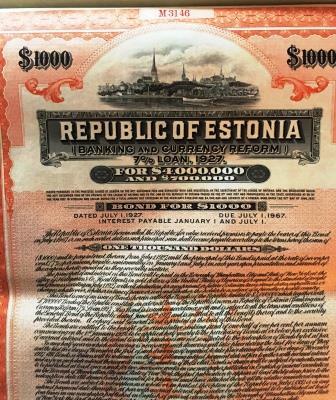 October 17, 2013 – Trading is and always has been a man’s world. But there are exceptions to every rule. Women in trading have made their imprint on an industry that has not always been female-friendly. Welcome to Traders Magazine’s Wall Street Women Awards. Join us in congratulating these 15 award-winning women who have placed their mark of success upon the Street—and as a result, are being honored for their accomplishments. The winners’ stories of leadership, perseverance, assertiveness and charity are inspiring to both women and men, young and old.